Another regular OPEC conference will be held in Vienna on December 6, and another OPEC+ meeting will take place on the following day, an OPEC source told TASS. A meeting of the Ministerial Monitoring Committee will be organized on November 11 in Abu Dhabi, the source said, adding that this is only a preliminary appointment. 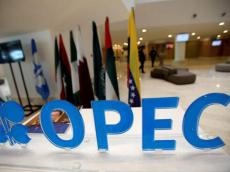 Earlier, an OPEC source told TASS that the December meeting would look at possible extension of production restrictions in 2019 as growing shale oil production in the United States may entail over-supply on the market.